JUST 2 LEFT. Microchipped and first vaccinations received. 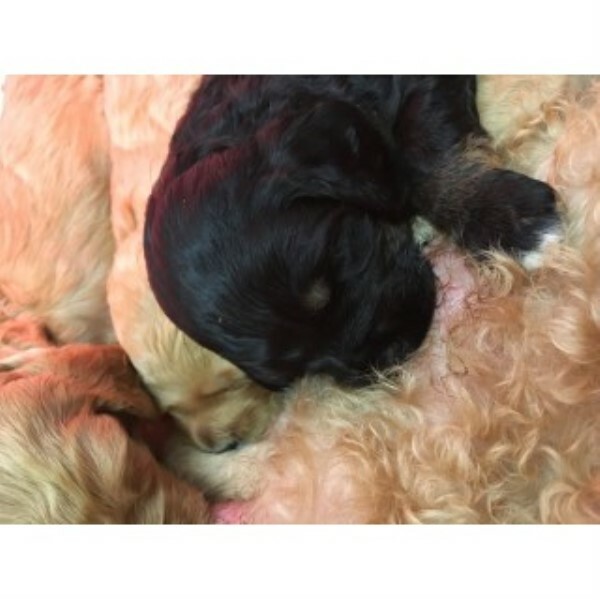 We have 4 red/apricot male and 3 black/apricot female Cockapoo puppies ready for their new home on 4th March. A non-refundable deposit of £200 secures your puppy. Both parents are Kennel Club registered and have very impressive 5 generation pedigrees containing many champions between them. Mother is a red standard poodle and father is a tricolour chocolate cocker spaniel. All our puppies will be correctly wormed, frontlined and insured and will come with an extensive puppy pack. Chilli, the mother, has a wonderful temperament. She is a very loving, affectionate dog who adores children and anyone that gives her attention. She will spend hours just looking lovingly into your eyes! Ci, the father, is a very handsome and bouncy fellow who has successfully sired many beautiful pups. The puppies will be OptiGen prcd-PRA clear. Cockerpoos are known to be intelligent and have wonderful dispositions, long lives and a non to low shedding coat. They have less genetic defects than in pure breeds and can live up to 22 years of age. Their coats produce very little dander which is the main culprit for allergic reactions. Cockerpoos have a patient disposition and sweet nature which makes them ideal as family dogs. They are very affectionate and loyal, open and friendly. The puppies are well handled and have been brought up in a busy household with our other dogs and children. They are particularly well socialised pups. Any potential owners are very welcome to visit the puppies at home and meet ‘Mum’. We are available to give advice and information prior to and forever after rehoming. A photograph of your chosen pup will be sent to you on a weekly basis along with a spreadsheet document charting your pup’s progress since birth. With your puppy you will receive a puppy pack including a scent toy, bag of puppy food and 4 weeks insurance. Finally, before you commit to rehoming a puppy, please take the following into consideration: Have you got the time and patience to devote to a puppy/dog? Have you got the room and garden space? Can you afford a puppy? It will need to be insured, veterinary bills, annual vaccinations, food etc. 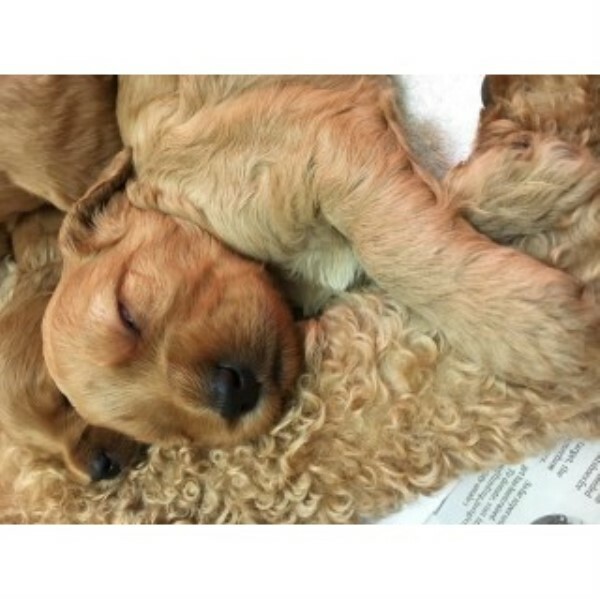 A puppy is going to be in your life and one of the residents of your home for the next 12-15 years or even longer. 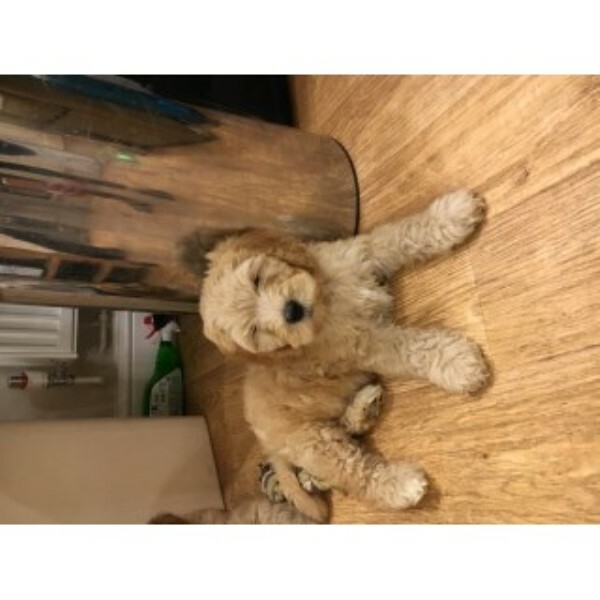 Will you be able to train him/her and not get upset when he/she has little accidents on carpets and floors, as this is all part and parcel of owning a dog. Will you be able to walk him/her daily and keep them exercised and in good health. Owning a dog is a big responsibility are you ready?